The issue of how the county will tackle the massive problem of Septic to Sewer conversion, septic tanks being a major polluter of the lagoon, is coming before the county commission on Tuesday. IRNA will be there to read the below statement that was drafted by our Water and Lagoon Committee. We encourage you to reach out to the county commissioners with this information and encourage them to take the actions we are suggesting. You can send an email to Dory Roy at droy@ircgov.com and ask her to forward it to the commissioners. Members of the Indian River Neighborhood Association are pleased that the County has incorporated into its comp plan long range planning for reducing the number of septic systems impacting the health of the Indian River Lagoon. 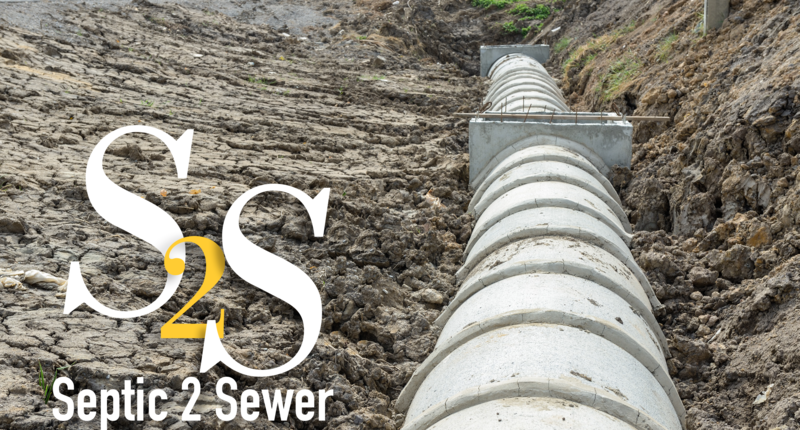 We applaud the County for its 1990 passage of an ordinance requiring installation of municipal sewer in all new developments within the urban service area. We recognize that IRC is the only county along the Indian River Lagoon that has this regulation. It was two years ago that members of our Water & lagoon Committee met with new County Administrator Jason Brown to urge him to include in the next year’s budget funds for a comprehensive study of converting septic to sewer in IRC. We are pleased with the progress made since that initial study. Educating the general public about regular maintenance of septic systems until a mandatory program can be developed for inspection and maintenance in cooperation with the health department. Operating the County Utilities Service as a separate enterprise. We support the on-going fee study and expect that fees will need to be increased to expedite the county’s sewer expansion. A policy for mandatory connection. IRC has approximately 500 properties that currently have sewer lines available but are not connected. That is 500 more sewer revenue sources that could help in funding additional lines or improving infrastructure. It is inconceivable that the county would spend funds installing the lines and not collect fees to recoup the funds invested. According to State Statute, the county should send a notification letter to the homeowner and record the notification. The property owner then has one year to connect to the sewer. The recorded notice makes it clear to future owners that sewer is available. Many counties begin charging fees based on water usage whether the owner connects or not. A more stringent rule than the existing State Statute that would require all septic system repairs be brought up to current code (24” separation between wet season water table and the bottom of the drainfield. Also a 75’setback from well or surface water. We have approximately 17,500 pre 1983 septic systems that would currently be required to repair their systems only to the original 6” of separation. Since the wettest season water table is less than 10 inches in the majority of the county, septage can leak from a 6” separation system into the ground water to a ditch, a canal and ultimately the lagoon. In hardship cases a petition for a variance could be made. Require subdivisions requesting municipal water service to connect to sewer at the same time. If you’re digging up the roads to run water lines, it makes good financial sense to run the sewer lines at the same time. We have several more lagoon protection recommendations regarding septic to sewer but choose only to address the three issues above at this time. We hope you will take them into consideration.